Dr Amy Kavanagh is a visually impaired activist. The 29-year-old said the Facebook post left her feeling “disappointed and angry”. 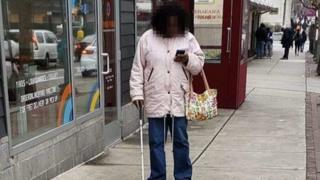 Dr Kavanagh explained that “not all blind people are totally blind” and mobile phone technology is extremely accessible.